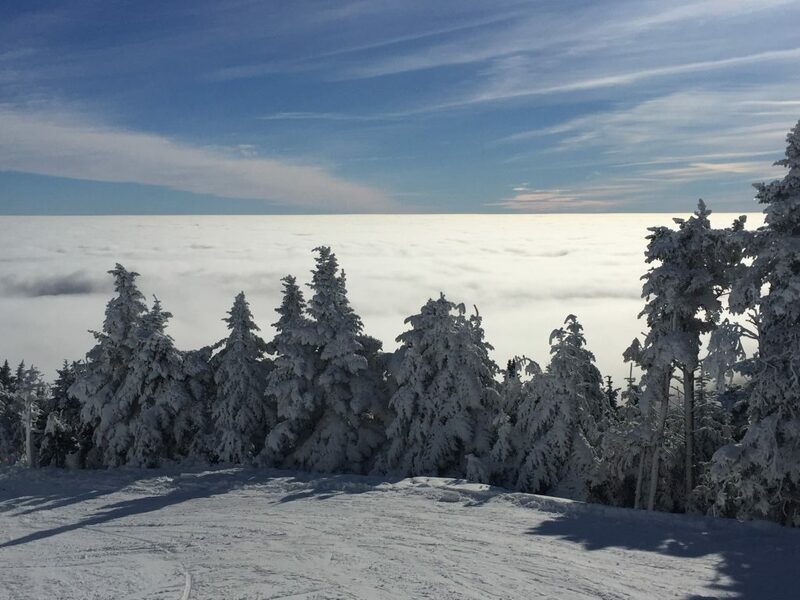 At 4,241 feet, Killington is known as the “Beast of the East.” Featuring six mountain areas, 1,509 ski-able acres, 155 trails, 21 lifts, and a 3,050-foot vertical drop, it’s a giant, to say the least. For boarders and freestyle skiers, the mountain boasts six terrain parks and two half-pipes. 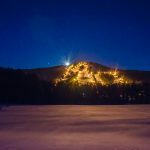 It’s regularly the first to open and last to close in the Northeast, and you have the chance to rip down the same run where Mikaela Shiffrin won the 2016 Audi FIS Ski World Cup slalom race. She’s a badass, and so is this mountain. 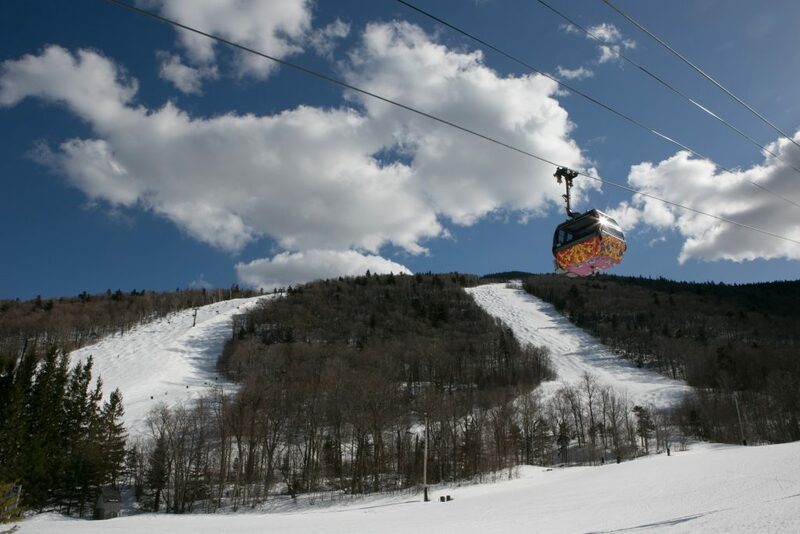 Killington is in the heart of the Green Mountains, making it an accessible skiing destination for most of New England. As you drive north up U.S. Route 4, you’ll know you’re getting close when you see both a gas station and First Stop Ski & Bike Shop. This place is perfect if you’re antsy to grab rental gear or if you’re planning to take the lift from Skyeship. If you’re traveling from VT Route 100, you’ll see Base Camp Outfitters, which also offers rentals. As a tip, if you’re into alpine tour, telemark, or cross-country skiing, BCO has all the gear and info you’ll need. As well, the Access Road itself has an abundance of ski and board shops. The main base area is home to the K-1 Express Gondola and is the quickest way to the highest terrain. 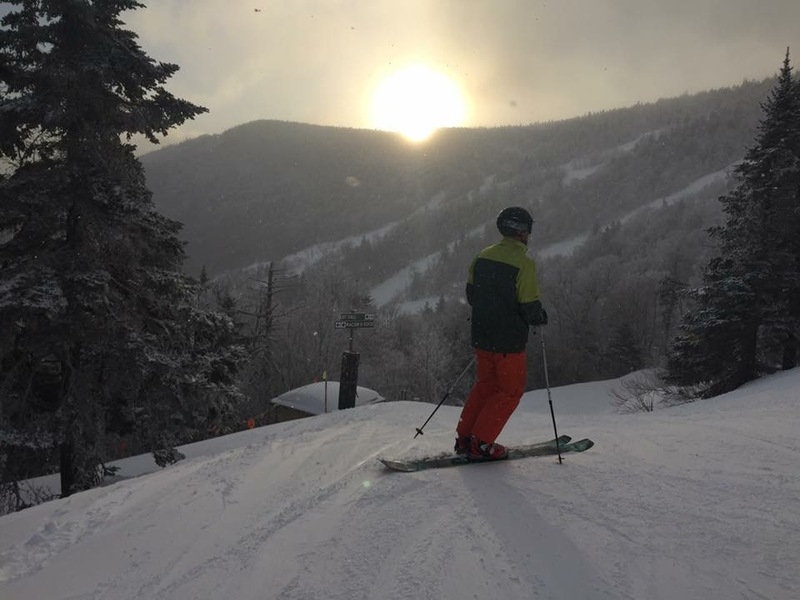 K-1 is essentially the mountain’s home base, featuring Guest Services, Killington Sports, food options, a bar, and an outdoor patio with live music in nice weather. Speaking of weather, the Roaring Brook Umbrella Bar is a MUST in the spring, and let’s not forget the wonderful Waffle Cabin for everyone who has a sweet tooth. As a whole, K-1 is definitely the mecca of base lodges. As the starting point for adult beginners, it has learning terrain, lessons, and designated slow areas. But, don’t let this intro stuff fool you; Snowshed still gives you access to the entire mountain and has the Double Diamond Demo Center for high-end equipment, a great starting point for groups of friends at all levels. As another tip, just this summer, they moved an Umbrella Bar to Snowshed for people-watching galore! More family oriented, it has kids’ lessons and rental gear, childcare, and kid-friendly food courts, and is smoke free. With two magic carpets and an abundant amount of beginners’ terrain, this is the place to head with your little ones. With plenty of advanced terrain, and the most likely place to find the sun on a partly cloudy day, it gets you to the steeps, bumps, and trees and has three terrain parks and one of the half-pipes. Bear Mountain is also known for its annual Mogul Challenge, open to anyone hoping to give their knees some work. You can’t miss the bridge that crosses over U.S. Route 4. The Skyeship Gondola takes you to Skye Peak and provides access to the rest of the mountain. There will be much smaller crowds here, but you can’t rent gear. Food and drinks are available. Just in case you end the day in a different spot from where you started, there is a shuttle service that runs between the base lodges. Start by taking the K-1 Gondola—you can get to pretty much anywhere on the mountain from there. If you don’t need a warm up, head right to the Canyon Area for some thrills on the steeps. Need to loosen the legs? 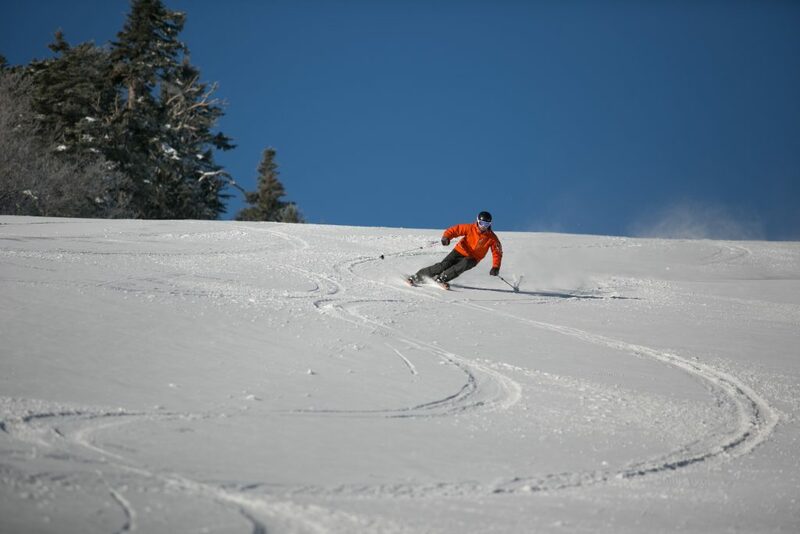 Take a skier’s left to North Ridge Triple Chair for a few runs, or go skier’s right and cross over to Needle’s Eye or the Skye Peak Express quad. No matter where you start, make sure to get some runs in on Bear Mountain. For park fanatics, Skye Peak and Bear are the most advanced places to get in your kicks and tricks. Here, The Stash was designed and built by Jake Burton and his team, and has 66 features that go in, out, and even over the trees, and is guaranteed to impress! You also can’t forget Superstar. A headwall starts off the run, and then, it just lets you rip and carve all the way down. 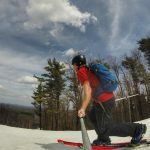 Ramshead is the place to start if you want to get those skis turning and under control. It also has the small- and medium-sized terrain parks. Next, take Caper to the Snowdon Quad, and enjoy that area for a few runs. 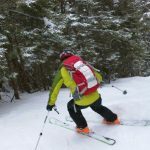 As you keep making your way across the mountain, find Skye Peak, which arguably has the most intermediate terrain of any mountain area in Killington. It would be easy to spend hours exploring and jumping around the many blue trails that are serviced by its six lifts. 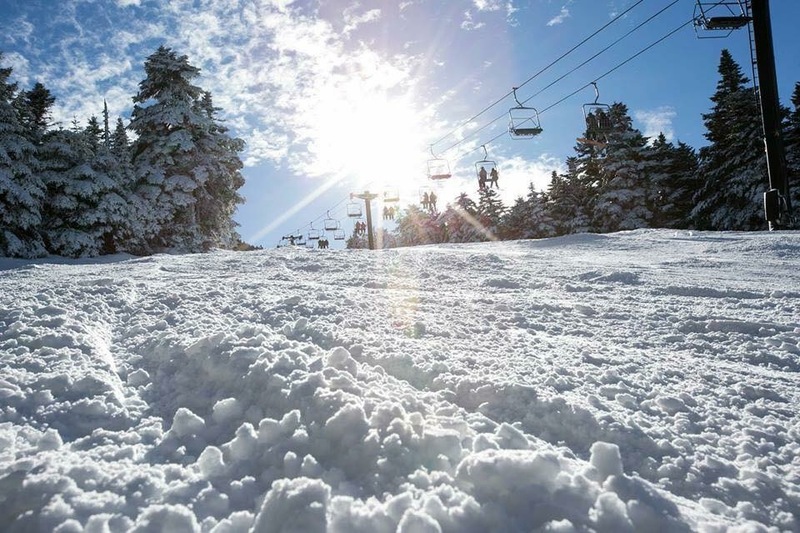 Enjoy what Snowshed and Ramshead have to offer: Snowshed Slope is short and wide and provides plenty of room to turn, while Easy Street and Caper on Ramshead are longer and narrower, with turns in the terrain that create a flowing feeling as you ski down. Feeling lost? Great Northern trail traverses from the top and will bring you to the K-1 Base Lodge and Snowshed. Bear Trax and Bear Claw will take you to Skye Peak and Bear Mountain. If you’re feeling really lost, Killington has ski ambassadors everywhere, all of whom are knowledgeable, friendly, and always willing to lend a hand or lead the way if needed. Looking for a quick breakfast to take with you to the mountain? Stop by the Phat Italian, where they use Boar’s Head meats and aren’t stingy about it. Want to sit down for a bit? Venture off the Access Road and head to Maple Sugar & Vermont Spice in Mendon, or stay local and eat at the Butternut Inn and Pancake House. Either place is a win. Sometimes, a late start isn’t always a bad thing, especially on the weekend, when The Foundry serves brunch starting at 11, with menu items like omelettes, crepes, breakfast burritos, and homemade waffles—is your mouth watering yet? Pair your breakfast with a mimosa or a Bloody Mary, and you’re on your way to a successful day! Lunch can be found both on and off the slopes. Every base lodge gives you the option of buying food, but a favorite is always going to be the Peak Lodge. Don’t let the cafeteria-style restaurant fool you, though; the food is delicious. 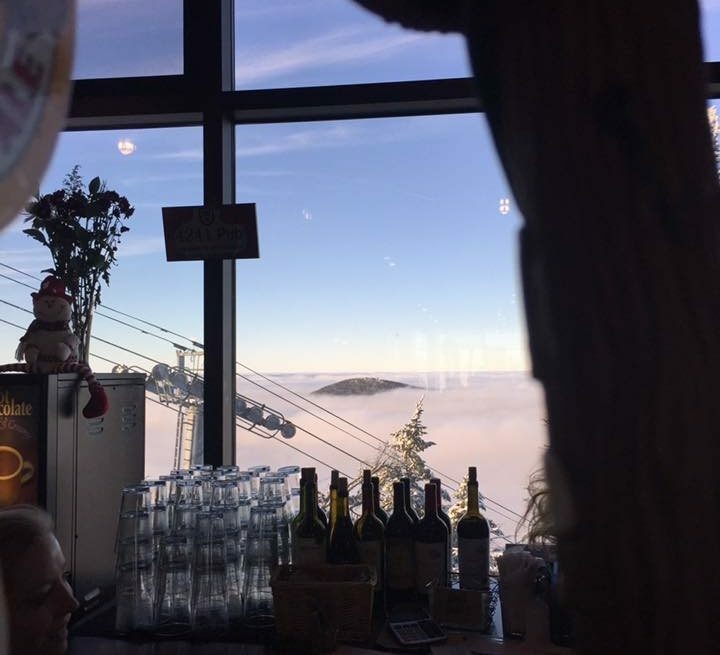 The Peak Bar has an amazing view, along with beers on tap and signature drinks. If you’re up for something different, try the Jerk Jamaican Mountain Grill at the bottom of Needle’s Eye. Après ski needs to be at The Lookout. It’s the first bar on the left as you drive down the Access Road. It might be busy, but the crowd gathers here for a reason. In order to get everything in that Killington has to offer, it’s best to stay at least one night. 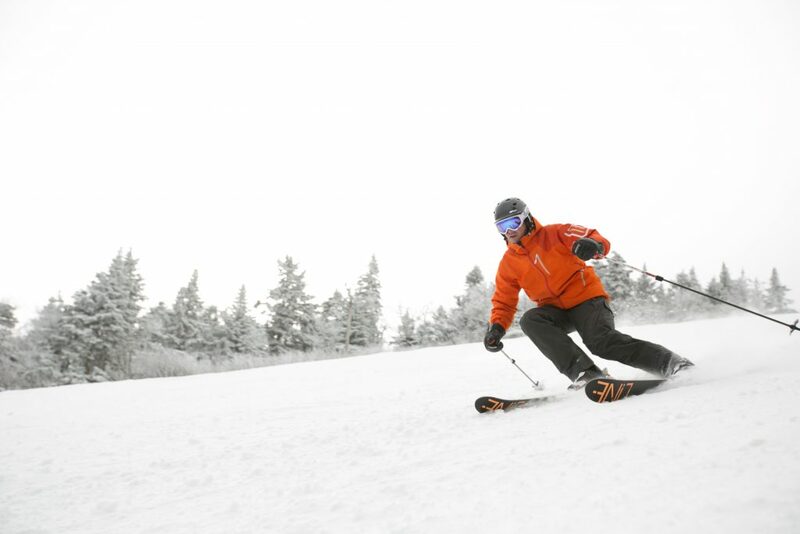 The Killington Grand Resort Hotel is the only mountainside full-service hotel. Preston’s restaurant and its proximity to Snowshed are huge bonuses for staying there. Fall Line, Highridge, Trail Creek, and Sunrise are condo units that have shuttle access to the mountain and, if the snow is cooperating, ski-home trails. 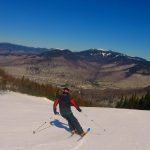 Birch Ridge Inn, Summit Lodge, Mountain Sports Inn, and Chalet Killington are all on the Access Road and are only a five-minute drive from the slopes. 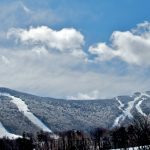 Looking to stay outside of Killington? About 15 miles away, Rutland has a Comfort Inn, Days Inn, and Holiday Inn. It’s not hard to see why they call this place The Beast—it definitely can be a little intimidating! But, if you play your cards right, you’re in for one of the Northeast’s best days on the snow. Kristina grew up near Cape Cod where she spent summers on the ocean, either sailing on Buzzards Bay or working for the family's oyster farm business. Winters were always vacations up to the White Mountains to ski. She moved to NH after graduating from Plymouth State University with a Music Education degree and spent several years teaching and working part-time for Eastern Mountain Sports, which fed her true passion for the outdoors. 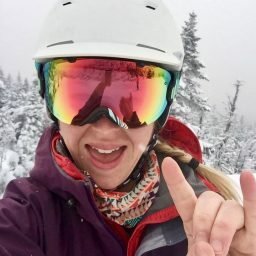 An avid mountain biker and skier, she currently resides in Killington, Vermont where the mountain in her backyard is one of the best playgrounds New England has to offer.